One month ago, Lia Jacobsen sat on a plane, nervous. She was moving to Ann Arbor, Michigan after living in Washington D.C. for 10 years. The prospect of learning a new city after all that time was, admittedly, a bit daunting. On the tray table in front of her lay two TMAPs: one detailing the area around her new home in Ann Arbor, and another of the streets around the University of Michigan School of Social Work, where she was beginning a masters degree. Leah traced her hands along the raised lines of the map, determined to memorize the criss-crossing, partial grid system of her new town. She reviewed the braille street names using each map key, learning the quarter-mile radius map first, then working her way out to the more dense and complex 1.5-miles radius map. The flight attendant paused at Lia’s row, and politely asked: “Excuse me, ma’am, would you like me to turn your light on?” The question struck Lia as a bit absurd. Why would a person need light to read a raised-line tactile map? She tried to be polite but some snark crept into her voice as she expressed her confusion. It wasn’t until this moment that she discovered that the maps were more than just embossed paper: the streets were printed in ink, as well. Image: A TMAP of the University of Michigan. The humor of the situation helped dispel some of her nerves, and since arriving in Ann Arbor and completing several weeks of classes, Lia pretty much knows the lay of the land. On her first day on campus she caught a group of lost undergrads off-guard when she interjected and gave them directions to their building. Lia wishes she had had access to TMAP throughout her many years working on the Obama campaign, traveling far and wide as a member of the Peace Corps, traveling alone in Colombia, or as a kid growing up in Florida. She expects to use TMAPs much more as she pursues her masters in social work and hopefully heads back to D.C. to become a victim advocate for the FBI. To order a map, call our product specialists at 1-888-400-8933 and specify the street address of the map you’re interested in receiving. Within two business days we’ll ship you your map, or make it available for pick up at the Adaptations Store (1155 Market St., 10th Floor, San Francisco, CA). Learn more about the MAD Lab where these maps are produced. LightHouse’s new immersive program launches in fall 2018 to educate blind and low vision students for careers in music, radio, recording and more. October 15 preview: Meet other aspiring blind DJ’s and get a performance from working DJ Ryan Dour at a free Audio Academy DJ Demo Night! This fall LightHouse is pleased to announce our new Audio Academy, an ongoing series of immersive courses to teach employable skills in the field of audio engineering and production. For our first course, we are partnering with the Illinois-based, blind-run I See Music, the only school in the nation that offers a comprehensive audio education curriculum for blind and low vision learners. “Intro to DJing” will be a 3-day intensive workshop, which will host a small group of students in our dorm-style residences over two nights for an immersive, high-value learning experience. The course will introduce students to the software Deejay Pro and teach students the basics of a fully accessible and non-visual DJ method. See full course details below. The workshop will also include a comprehensive discussion of the vocational opportunities in the DJ field from Byron Harden, founder and CEO of I See Music. Come spend the weekend with your fellow audio heads, and learn the skills needed for competitive employment in the music and entertainment industry. Back in the days of analog, being a blind radio disc jockey, record producer or even a house engineer was not out of the question. But with the turn of the century and the turn to digital, the industry traded knobs, buttons and sliders for inaccessible graphic user interfaces on screens. For several years, the accessibility of the audio industry screeched to a halt. Today, the landscape is greatly improved: industry leaders like Apple, AVID, Algoriddim and Native Instruments have made commitments to accessibility, and blind individuals can finally operate the tools of the trade to become studio owners, radio producers and musicians in a competitive working environment. LightHouse Audio Academy will continue over the course of the year with talks, informal gatherings and more immersive weekends (each weekend will focus on a different topic, software or hardware application). Please note: all who are interested in the workshop must fill out our brief application form. Equipment: Apple workstations will be provided to students for the weekend if necessary, but bringing your own computer (Mac OS or iPad only) and Deejay Pro-compatible DJ controller is recommended. Apply: To apply for a spot in the first workshop you must fill out our brief Audio Academy application form, located here. If you’re still unsure, join us on October 15 at 7 p.m. to get a sneak peak of what it’s like to blind DJ at our free preview event. 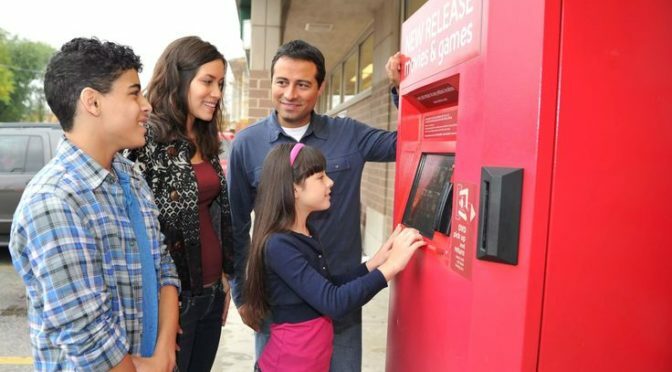 In 2014, the LightHouse reached a settlement with Redbox Automated Retail LLC, which required Redbox to improve accessibility of their movie rental kiosks in California. As a result of the lawsuit, Redbox agreed to make its approximately 3,600 movie and video game rental kiosks accessible to blind users. You can now browse, select and return movies with headphones and a text-to-speech interface controlled via touchpad, thanks to careful collaboration between LightHouse and Redbox. Now, Redbox wants to make sure its accessibility measures are working to meet the needs of its blind users. And that’s where you come in. Help the LightHouse as we test to ensure accessibility of Redbox movie rental kiosks! Sign up to become a tester and try out Redbox’s new platform for accessibility. We have completed the first two rounds of tests and need additional participants for our final study. We are seeking new participants only. No repeat participants please. Two visits are needed to complete the study, one visit to rent the movie and one visit to return the movie. Sign up to become a tester by emailing redbox@lighthouse-sf.org by July 26. The study period ends August 3. Please note that you are responsible for your transportation to and from Redbox kiosks and incur the normal risks associated with your travel. The Lighthouse for the Blind and Visually impaired is seeking an access technology specialist in our Access Technology department. The AT department trains 300 students each year on the use of screen readers and magnification software, and partners with dozens of companies to ensure apps, websites, and products are accessible to blind and visually impaired users. The Access Technology Specialist is responsible for providing technology assessments and training to blind and visually impaired students both one on one and in group workshops. Specialists work with each student to define learning goals, present material in a clear and comprehensive manner, and document instruction in the Lighthouse database. Specialists stay current on the latest access technology, and the accessibility of mainstream apps, in order to provide high quality assessments to students. Specialists work on Lighthouse consulting projects in the areas of accessible design and user research. You keep pace with the latest in mainstream and access technology. You’re interested in the interactions between people and the technologies they use. You enjoy explaining technical concepts to others. In depth knowledge of the following operating systems: Windows, Mac OS, iOS, and Android. Advanced user of screenreading and magnification software for desktop and mobile operating systems. Using apps and software to access printed material. Using GPS apps for navigation. ability to learn new technologies from documentation and tutorials. Knowledge of web accessibility standards. Profficiency in the UEB Braille code. Fluency in a second language in addition to English. Education: Bachelors degree in education, Rehabilitation Teaching, Computer Science, or comparable degree/experience. Must be able to sit at a desk and perform computer-intensive work for long periods of time; operate standard office equipment; move 10lbs independently. All attachments must be formatted as Word Documents or accessible PDFs. No undescribed image files please. In her daily work, Lauridsen often has to shake her head at technology that misses the mark, but today is different. Today, Microsoft unveils a new free app designed not just for blind people – but by blind people. In the video below, Erin Lauridsen explains the design thinking behind Microsoft’s new app. Click here to download Soundscape from the US App Store. Lauridsen is one of the design minds behind Soundscape, a new Microsoft product which aims to empower blind people to not just get where they’re going, but to explore and learn their environment actively. Hired last year to start LightHouse’s Access Technology department in San Francisco, Lauridsen has built up a research and design consulting shop that leverages the blind experience to help mainstream companies optimize their products. One day it may be face recognition; another day, it’s designing a more intuitive interface or an advancement in ergonomics. In all cases, though, designing with the blind in mind yields a more competitive product. Last fall Microsoft approached Lauridsen’s team with a product built upon an ambitious concept: a navigation app not based on turn-by-turn directions, but on dynamic, proximity-based landmarks and 3D audio beacons. For Lauridsen, an app that promoted spatial engagement instead of rigid instructions and prescribed routes was a breath of fresh air. “The idea of having spatial and directional information floating on top, and taking some of that process load off of the traveler, that was intriguing,” she says. The next step was to find out if this technology would work in practice. Microsoft brought the idea to a small group at a meeting of LightHouse Labs, Lauridsen’s monthly blind-tech meetup at LightHouse’s Market Street headquarters. Each month, Labs provides a venue for companies and individuals in the blindness and accessibility sphere to explore product-market fit, compare notes on emerging tech and express passionate, at times controversial opinions. It was agreed that the next phase of research and design was to get Soundscape into the pockets of real users, to turn the app from a good idea into an invaluable tool. Today, Soundscape launches in the US and UK app stores on iOS for iPhones, and with it Microsoft has introduced a new 3D audio experience crafted specifically for exploration. Featuring an unobtrusive, roaming narrator reading the names of businesses, intersections, and points of interest in stereo, Soundscape is much more like browsing a neighborhood than any audio navigator that has come before. The Around Me and Ahead of Me features allow for more focused “looking around,” and audible beacons can be set to guide users gently toward a destination with intuitive auditory cues. Over the winter, Lauridsen’s team began putting the app through its paces, quite literally, with a score of blind user testers taking the app up and down Market Street and through the neighborhoods of San Francisco. Taking their feedback and synthesizing it, and delivering it in a series of intense meetings with Microsoft’s developers, Soundscape began to feel ready. Beginning with Microsoft, who will route all their Specialized Be My Eyes calls to their dedicated Disability Answer Desk, Be My Eyes is making its foray into high-end customer service. But rather than pass the cost on to its blind users – one of the largest user bases of blind people worldwide – the enhanced customer service will be provided by brand partnerships, ad-free and with no strings attached for users. Read the whole announcement below and if you haven’t yet, download Be My Eyes today. We are thrilled to announce the newest feature in the Be MyEyes app: Specialized Help – a better way to connect with businesses and organizations when you need assistance with their products or services. Microsoft is the first company joining our platform to offer Specialized Help and maintains their mission to empower every person on the planet to achieve more. Included in that mission is a program aimed at offering free technical support to the disability community – Microsoft Disability Answer Desk. Be My Eyes is on a journey with Microsoft to help more people utilize technology as a means of empowerment to achieve more in their daily lives. Starting today, Microsoft agents will be available through Be MyEyes Specialized Help to users in Australia, Canada, UK, Hong Kong, Ireland, India, Malaysia, New Zealand, the Philippines, Singapore, South Africa and the United States offering assistance in English. If you need help with Windows or Office products just give them a call. Who Would You Like Us to Bring Onboard Specialized Help? At the present moment, you have the option to contact Microsoft. Improving the customer service experience takes time, rest assured, but more companies from a variety of fields will join the Specialized Help platform soon. Your feedback is of tremendous value to us. If there are businesses and organizations that you may seek assistance from and would like them to a part of the Specialized Help platform, please let us know, and we will do our best to include them. You can simply respond to this email or write us at info@bemyeyes.com. It is our hope that Specialized Help will provide a better way to connect you with businesses and organizations. Just last week, San Joaquin Regional Transit District (RTD) launched Talk to Me Maps, a set of audio and tactile maps of transit boarding areas, in hopes of increasing access to the local transit system for people who are blind and low vision. With money from a state grant, San Joaquin RTD collaborated with Community Center for the Blind and Visually Impaired (CCBVI) and LightHouse’s Media and Accessible Design Lab to produce large map books that not only share details of the region’s major bus stations in braille, but can be read by a “smart pen.” When moved around the tactile map, the pen speaks to the user to audibly share information about the physical layout of each station and which buses are going where. The program will be yet another tool in the toolbox for people who are blind or low vision to easily get around town on RTD. It’s a step toward independence and self-reliance for thousands of San Joaquin County residents who are blind or have low vision. The “Talk To Me Maps,” as they’re known, have been in the works for a couple of years. Bauer had heard about our accessible maps for BART stations in the Bay Area, so she met with experts from our Media and Accessible Design Lab, who put their heads together to create the maps over the course of nine months. For braille readers, the talking aspect of the map is extra, but serves as a helpful tool for non-braille readers who are blind or have low vision. Manufactured by Oakland-based Livescribe, the pens include cameras that capture information from the books and share it out loud through a speaker. It’s just a matter of holding the pen at an angle over the book and tapping. Development of RTD Talk to Me Maps was a collaboration among the following: Community Center for the Blind and Visually Impaired (CCBVI) proposed the project. RTD Director Joni Bauer spearheaded the project. San Joaquin Regional Transit District developed and implemented the project. The LightHouse MAD Lab is available to produce similar maps for governments, transit districts, schools or any other place where tactile maps would help the blind traveler. Click here to learn more about our MAD Lab’s braille and accessible design services or contact our specialists at madlab@lighthouse-sf.org. For additional information regarding Talk to Me Maps, including a video of a map in use, please visit www.sjRTD.com/TalktoMeMaps. Thanks to a collaboration between the Smith-Kettlewell Eye Research Institute and our Media and Accessible Design Lab, we’re pleased to announce that you can now order on-demand tactile maps of the area of your choosing for just $19 (plus shipping and handling) from our Adaptations Store. The tactile street maps depict the area around a user-specified address or intersection, using raised lines along with a circle marking the point of interest in the center of the map. Braille and large print labels indicate street names and other critical area information like cardinal directions, scale, and main streets. For those who are new to tactile maps, this is a great way to get started with this invaluable, always dependable tool for blind and low vision travelers. And for O&M teachers, or those learning how to travel with a dog or cane, this new instant service will make a tremendous difference. To order a map, just call our product specialists at the Adaptations Store at 1-888-400-8933 and specify the destination of the map you’re interested in. Within two business days we’ll place your order, ship it or make it available for pick up at the store. A closeup of the large print and brailled tactile maps explainer sheet, included in the package. An ink-print and tactile map of the streets around LightHouse Headquarters, plus a legend showing street names. Never used a tactile map before? Stop by the Adaptations Store in person and take a look at our pre-printed maps of the area around LightHouse Headquarters at 1155 Market St. We’ll help you get a feel for using tactile maps and you can even take a pre-printed tactile map with you for $19.